Tesco Opticians Value prescription glasses £10 instore, the cheapest non online price from an optician and all their eyetests are free - even in England! This wont beat the online prices for sending off a prescription then waiting for your new glasses to arrive from abroad. With only scratch resistance, they also wont compete with the number of free coatings offered from these online overseas offers, however, it is the cheapest you will pay to see an optician and get a pair of glasses in the UK - so handy if you have no access to online payment methods, or want to ask an optician questions about your sight. Also, thanks to "Barky" who informs me Tesco offer you the "PD" value on your prescription, something other opticians either decline to tell you, or charge £20 for the ten seconds it takes to measure. Remember without this PD value measured correctly, your glasses bought online could not be as good as hoped, and yet here for half the price of being told your PD value, you are getting a pair of specs too. I took a look today, and they seem robust enough despite the low price. Until now I have been buying £2/3 readers, but liked the idea of trying a prescription pair as a first set of prescription glasses without breaking the bank to see if they are worth it over the cheap readers. They cover the majority of prescriptions with minus to plus 5 for the Sphere, and minus to plus 2 for the cylinder, with the add of up to 3 for readers. So if you want then to address astigmatisms then most are catered for in the £10 price. If you know a better deal, tell me please, as I want a pair bought locally before I try any of the online companies, and so knowing the PD is a must. just been today ended up paying extras for all sorts bill came to £130 for one pair of varyfocal semi rimmed glasses, the current offers are confusion marketing at its best the offers don't apply if your eyesight needs deeper glass also the free 2nd pair is not available if you select varyfocal you get that free instead . Eye tests are free though and to be fair to them there is no pressure on your to purchase, the £10 glasses are similar to what you used to get free at School in the 60s think they were nicknamed corporation wrap around's,. The 1960s glasses for children were light blue transparent plastic frames with a "mother of pearl" style tinge, and the same for girls only in pink. Pretty much like small Joe 90 style. I want to be the new NHS specs kid! As long as you can see well enough not to gouge your eyes out when you put glasses on, you don't really need them. Cold 'cos I'm sick of Tesco policy of trying to sell everything on the high street, but only selling high-volume, cherry-picked, high-profit items to drive competitors out of business. Measure your own PD with a pen, ruler and a mirror. It really isn't that difficult..
(Quote) "Cold 'cos I'm sick of Tesco policy of trying to sell everything on the high street, but only selling high-volume, cherry-picked, high-profit items to drive competitors out of business." You're on the wrong site. You may be thinking of ........Airing my views.com.........this is hotukdeals, where you vote hot or cold depending on whether you can find a better deal than the one posted. In any case, thanks for the reasoned input on whether this is a hot deal for spectacles. I have a pair of £10 specs, they're perfectly adequate for day to day use. No need to bother paying extra for fancy coatings etc - for a tenner you can just bin them if they get scratched! I would also check out Asda opticians, I bought mine from there as it was working out cheaper for thinner lenses. £100 for 1.67 high index lenses with reactions and scratch resistant I thought was a great price. Really good for the sunny weather in this country or going on holiday. Haven't taken sunglasses with me on the last two trips. I have a pair of £10 specs, they're perfectly adequate for day to day … I have a pair of £10 specs, they're perfectly adequate for day to day use. No need to bother paying extra for fancy coatings etc - for a tenner you can just bin them if they get scratched! Booked an appointment for a eye test for free plus a pair of reading glasses for a tenner. Sounds a good deal to me, is this correct before i go. I have two pairs (I'm of that age where I need reading glasses and normal glasses) and they are both spot on - not bad for a tenner each, nothing fancy, made even cheaper (free) because I'm on Working Tax Credit - so an eye test and two pairs of specs for nowt. Go Tesco. Not really a special offer. This is Tesco's normal price for the last 6 months or so. Has been posted here before but good reminder for people I guess. (Quote) "Cold 'cos I'm sick of Tesco policy of trying to sell … (Quote) "Cold 'cos I'm sick of Tesco policy of trying to sell everything on the high street, but only selling high-volume, cherry-picked, high-profit items to drive competitors out of business. "You're on the wrong site. You may be thinking of ........Airing my views.com.........this is hotukdeals, where you vote hot or cold depending on whether you can find a better deal than the one posted.If I get the time I'll see if I can post the link to mrangry.com or rants.co.uk.......In any case, thanks for the reasoned input on whether this is a hot deal for spectacles. Whether you like/dislike rants or whether you think that this is the right place for them or not, Northerndave is right. When Tesco has driven all the other opticians out of business (and they're well on their way), there will be no need for such posts on here because Tesco will be the only supplier, and these glasses will be £200. Same with all other non-food products. I would also check out Asda opticians, I bought mine from there as it was … I would also check out Asda opticians, I bought mine from there as it was working out cheaper for thinner lenses.£100 for 1.67 high index lenses with reactions and scratch resistant I thought was a great price. Really good for the sunny weather in this country or going on holiday. Haven't taken sunglasses with me on the last two trips. Get them while you can, im in the bussniess and ive heard asda are getting out of optics. Bascailly they cant continue to take the losses there making. One word of warning tesco specs do take and age to arrive but are of decent quaility. As the lab they had bought stuggles to cope with demand at times. This is a comments section is it not, Anyone can give their opinion, and this is my view. It's not a rant, I'm not angry, both of those emotions seem more fitted to your comments I feel. I can vote hot or cold if I like, for whatever reason I like. Price is not always the defining factor on peoples decisions on how to vote, sometimes the bigger picture needs consideration. Ok I thought I should post something to clear a few things up. Tesco did not buy a lab as all of Tesco's glasses are made by a company called Galaxy Optical Services. Galaxy Optical deal with everything to do with the Opticians from HR and finance through to IT equipment, services and support. Tesco pay Galaxy Optical for the services that they provide and buy the glasses from Galaxy at a set price. Tesco then tell Galaxy what the retail price should be in store and Galaxy implement that price onto Tesco's till and that's where they make their profit. Galaxy have already made their profit when tesco get charged after the order has gone through to Galaxy. Tesco are actually losing money on the £10 specs as they have to buy them from Galaxy for £39.95. This is just a way to make people more aware that Tesco are in the Optical market and very competitive, it's also a way of getting more customers in store. Galaxy have set up over 180 opticians departments in the uk Tesco stores and have expanded into european stores such as Poland, Slovakia, Hungary and Czech Republic.When glasses are ordered in store they will provide a due date. Almost all standard single vision lens glasses arrive within a week but actually 2 days in 9 out of 10 cases. Varifocals take a little longer. Orders are sent electronically to galaxy immediately when they are placed and progress through the lab at an impressive speed. Galaxy use a very secure next day courier to deliver the specs to store.The quality of lenses is extremely high as Galaxy are very proffessional and only use the best suppliers of materials. Galaxy is privately owned by an Optometrist who started with just one small Opticians, Galaxy now employs over 200 members of staff. With the success and rapid expansion of Galaxy Optical services and Tesco Opticians you should expect to see more optical departments opening in Tesco stores around the country. Tesco Opticians sell an impressive range of designer glasses and prescription sunglasses with buy one get one free offers on glasses over £65 or free reactor lenses instead of a second free pair. The free sight test for everyone is a permanent offer and other opticians are ripping people off by charging for sight tests as they can claim the money back from the NHS. It may be Tesco Opticians but don't expect anything less than fully qualified staff and superior quality glasses. So do you work for Tesco or more likely Galaxy ??? Ok I thought I should post something to clear a few things up. Tesco did … Ok I thought I should post something to clear a few things up. Tesco did not buy a lab as all of Tesco's glasses are made by a company called Galaxy Optical Services. Galaxy Optical deal with everything to do with the Opticians from HR and finance through to IT equipment, services and support. Tesco pay Galaxy Optical for the services that they provide and buy the glasses from Galaxy at a set price. Tesco then tell Galaxy what the retail price should be in store and Galaxy implement that price onto Tesco's till and that's where they make their profit. Galaxy have already made their profit when tesco get charged after the order has gone through to Galaxy. Tesco are actually losing money on the £10 specs as they have to buy them from Galaxy for £39.95. This is just a way to make people more aware that Tesco are in the Optical market and very competitive, it's also a way of getting more customers in store. Galaxy have set up over 180 opticians departments in the uk Tesco stores and have expanded into european stores such as Poland, Slovakia, Hungary and Czech Republic.When glasses are ordered in store they will provide a due date. Almost all standard single vision lens glasses arrive within a week but actually 2 days in 9 out of 10 cases. Varifocals take a little longer. Orders are sent electronically to galaxy immediately when they are placed and progress through the lab at an impressive speed. Galaxy use a very secure next day courier to deliver the specs to store.The quality of lenses is extremely high as Galaxy are very proffessional and only use the best suppliers of materials. Galaxy is privately owned by an Optometrist who started with just one small Opticians, Galaxy now employs over 200 members of staff. With the success and rapid expansion of Galaxy Optical services and Tesco Opticians you should expect to see more optical departments opening in Tesco stores around the country. Tesco Opticians sell an impressive range of designer glasses and prescription sunglasses with buy one get one free offers on glasses over £65 or free reactor lenses instead of a second free pair. The free sight test for everyone is a permanent offer and other opticians are ripping people off by charging for sight tests as they can claim the money back from the NHS. It may be Tesco Opticians but don't expect anything less than fully qualified staff and superior quality glasses. Sounds realistic to me, got me an eye test today and will report back when i have been done as to service etc. I do not mind paying for an eye test but i just need reading glasses and am not prepared to pay loads of money for a pair to get damaged at work. Good constructive post.Puts it all into focus. Sounds realistic to me, got me an eye test today and will report back … Sounds realistic to me, got me an eye test today and will report back when i have been done as to service etc. I do not mind paying for an eye test but i just need reading glasses and am not prepared to pay loads of money for a pair to get damaged at work. 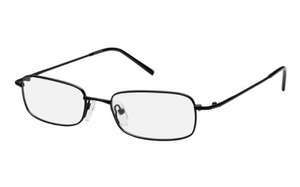 If you just need reading glasses then you may find what you want at Poundland, 99p store, Lidl or Aldi. If you just need reading glasses then you may find what you want at … If you just need reading glasses then you may find what you want at Poundland, 99p store, Lidl or Aldi. Yes £39.95 is how much Tesco buy it from Galaxy for glazed with Single vision lenses.